Becoming healthier is one of the most common New Year's Resolutions. It is important to remember that health is a life-long process, not a project that can be accomplished and then set aside again for a number of months or years. 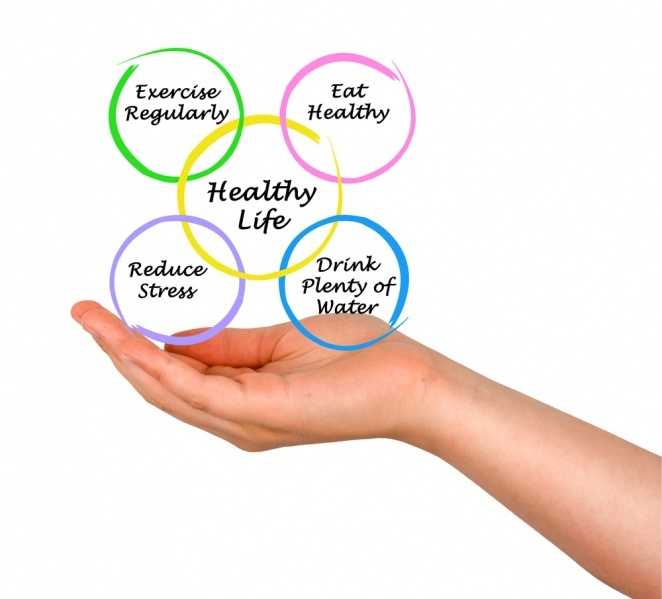 Health is a way of life and a cumulative reflection of your life. The first thing you want to do if you are on the path to becoming healthier is to take an honest look at your health -- all aspects of your health. Most people have a tendency to focus on the one or two things that are currently bothering them, but in my experience as a naturopathic doctor, many people end up ignoring the aspects of health that are either "feeding" the other areas or those that pose the greatest health risk. For most people over the age of 30, or for those with a suspected or known health issue, the first step generally involves getting up-to-date blood work and a physical exam. One of the advantages of naturopathic medicine is that laboratory testing it is not controlled by OHIP or other provincial health-care guidelines and we can often offer patients a thorough blood work-up and physical exam. For example, our access to testing for environmental toxins and chemicals and food reactions is very extensive. There are also a range of laboratory tests that can help clarify the best treatment plans for conditions such as high cholesterol, hypertension or diabetes. Acute Takes Priority -- Acute illness generally take priority. If you are dealing with an acute situation the "healing energy" of the body will be focused on the acute problem. This is one reason it is important to allow your body the time it requires to heal acute illnesses, like colds and flus or sprains and strains. Reverse Order - The last symptom will often heal first. If you have had eczema for years and recently ended up with a cough, it is most likely that the cough will resolve before the eczema improves. As deeper symptoms "move to the surface", it is common for them to get a little worse before they resolve. Grouping of Symptoms - Symptoms that started at the same time often are related. For example, digestive symptoms can cause joint pain, skin issues, mood changes and changes in bowel movements are simultaneously. Hormone imbalances can contribute to insomnia, anxiety, decreased memory function, dry skin, weight gain and other problems. One of the main jobs of your naturopathic doctor is to find the core imbalance that is contributing to your symptoms instead of treating each concern as a separate thing. Treating the core imbalance is simpler, more effective and a lot less costly. Top-Down - Symptoms that appear above the waist generally resolve before symptoms that are lower in the body. Chronic patterns are generally held in the lower body, including circulatory problems (peripheral artery disease), or the impact of kidney or liver disease, etc. Inside-Out - The vital organs are located deep within the body. As the body is healing, it will generally heal the deeper organs prior to the joints, skin and other more superficial organs. Being able to eliminate what the body doesn't require is essential to health. In traditional systems of medicine, such as Ayurvedic and Traditional Chinese Medicine, opening the routes of elimination is the most important single step to achieving and establishing health. For example, having proper bowel movements every day and breathing effectively need to be part of every health-building plan. Many people find that once they are able to eliminate toxins from their body, many other symptoms resolve. Check out my blog on Eliminating Toxins - Top 5 Things to Remember for more information. Movement is essential to health. Most people are much too sedentary in their jobs and at home. Regular movement is required not only for proper functioning of muscles and joints, but movement is an integral part of cardiovascular health, blood sugar control, mood regulation and other aspects of health. Check out my blog on Movement for more information. What you eat will strongly impact your ability to heal. Knowing how to choose what food is best for you is the single most important factor that a person has to ensuring health, next to positive thinking. Identify and address your personal food allergies and sensitivities. Identifying the foods that your body reacts to and then avoiding or limiting those foods is a great first dietary step to achieving health. Address your personal weakness and indulgences. Most people are aware of their specific weaknesses and the "bad" habits that they have that affect their health. One of the best ways to achieve your health goals is to be honest with yourself and commit to addressing your "bad" habits and making more healthy choices. Avoid the "feast then famine" phenomenon. The solution to eating too much is not to spend the next couple of weeks or months eating too little. Keep in mind that January and February are often the coldest months of the year. Dramatically changing the amount that you eat will often increase the chance that you will come down with a cold or flu. Major fluctuations in dietary intake often worsen underlying conditions such as thyroid conditions, diabetes and other metabolic conditions. Get rid of the sugar and the "white processed food". Those chocolates, sugary sweets, morning danishes, muffins or bagels are packed with calories, but offer very little nutrients. The increase in sugar and empty carbohydrates is one of the main reasons for those added pounds that creep on over time. If you are serious about getting back on track with your diet, it is time to get rid of the sugar and the calorie-dense, nutrient-deficient foods. To learn more about the health impact of sugar, click here. Drink water -- lots of water. Sweets, alcohol and many other "treats" are dehydrating. Ensuring that you are drinking sufficient water is a safe and effective way of helping the body re-balance and rid itself of the excesses that it has accumulated. Click here for tips on how much water is ideal for you. 4 to 6 cups of vegetables a day. Increasing your consumption of cooked vegetables, especially those dark green vegetables like swiss chard and kale, is a great way to help the body detox. Vegetables are also the primary source of minerals and nutrients. Cut out the snacking. Only children and those with low blood sugar need to snack between meals. Unless advised otherwise by your naturopathic doctor, stick to three meals a day. Check out my blog on Nutrition for more information. The body heals while you sleep. Ensuring adequate restful sleep is essential to establishing and retaining health. There are many reasons why sleep can be a concern. It is important to identify the reason before engaging in any treatments. Check out my blog on Sleep for more information.